Bring your Littles to this fun and interactive infant inspired playgroup. Through organized song, play, and activities you and your infant will enjoy this safe, upbeat group environment as they get their giggles and wiggles out – and who knows, you might just enjoy some giggles too! Promote your child’s spacial awareness through play and laughter with the use of colours and balloons. Together let’s cultivate social and visual skills with our infants in a fun and creative way. Enjoy some peaceful bonding time with your infant as we learn the art of infant massage. 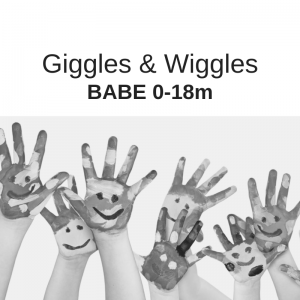 Foster the development of hand and eye coordination of your little one in an infant inspired, colourful way. Support your child’s desire to explore and learn through the sense in an infant safe, group environment.